4. Dry each slice off with a paper towel. 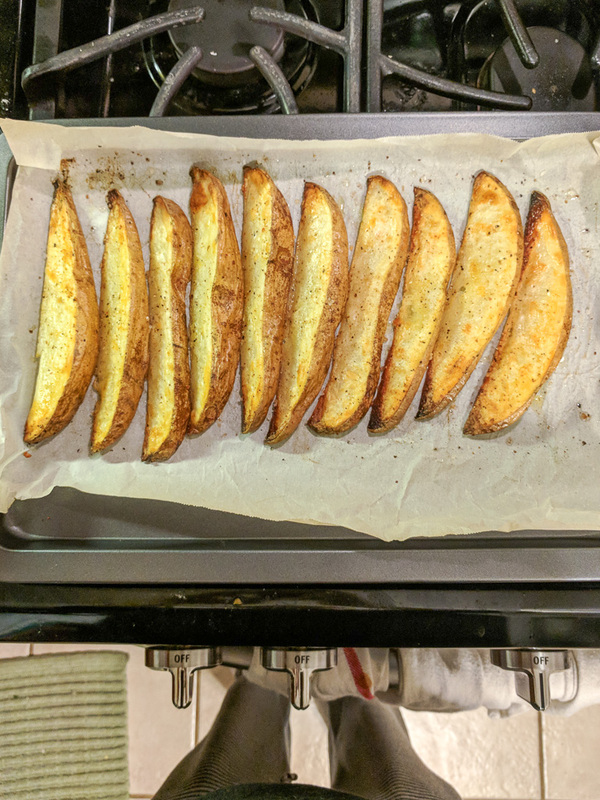 The drier the potato, the crispier the outside! 5. Spread out evenly on a baking sheet. I like to do this on parchment paper for easy clean up. 7. Place in the oven and roast for about 20 minutes. Remove, flip, and roast another 20 minutes or so, or until desired outer crispiness. The insides should still be nice and soft. 8. Once they are done, whisk sauce ingredients together and enjoy!